A clean look that reflects your active lifestyle. 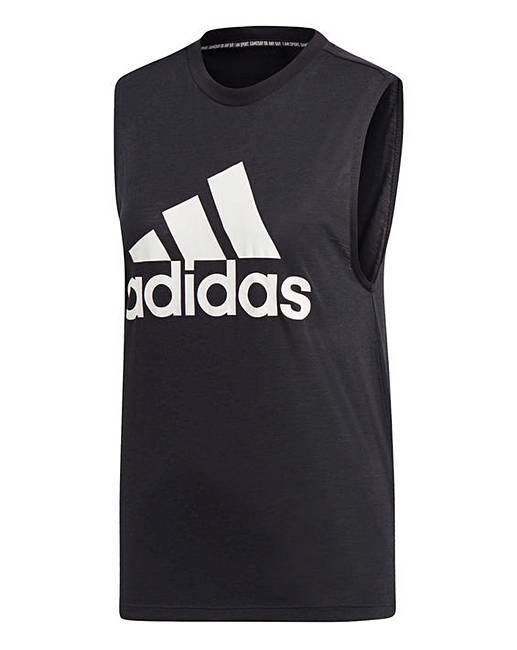 This adidas badge of sport tank top stands out with a bold adidas badge of sport on the chest. It's made of single jersey fabric and has a feminine curved hem. 50% Recycled Polyester, 25% Cotton, 25% Viscose Single Jersey.